Line Up: Can We See Your Values? In September 2014, the drugstore chain CVS came to its senses and stopped carry smoking products. The nation’s #1 pharmacy made this groundbreaking and headline-making move to better align its business with its mission of helping people on their path to better health. CVS continues to live its values by studying the effects of smoking on the American population and funding efforts to help Americans stop smoking. Read more here. 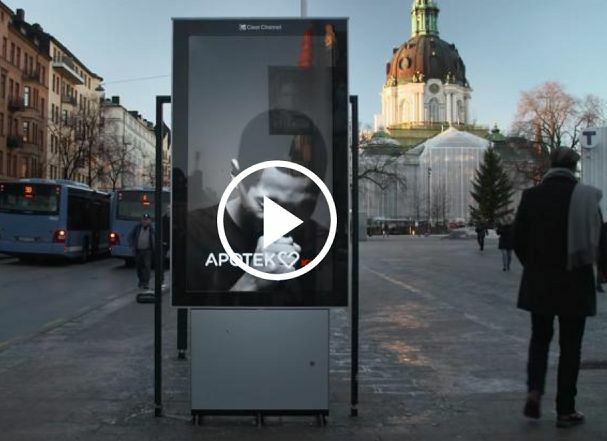 In related news, the Swedish pharmacy chain Apotek Hjartat has created outdoor videos that cough when smokers stand near-by. They’ve also turned their front windows into Light-Therapy Screens in the cold dark Swedish winter. Need a free pick-me-up for your mild Seasonal Affective Disorder? Head over to Apotek Hjartat. Do Your Actions Line-Up With Your Values? These organizations are walking their talk – and sometimes that means going against the grain of long-time, probably profitable industry tradition. Are there legacy products or lazy processes at your organization that are working against your mission? Are there opportunities to live your values more fully? • Do you advocate publicly for a living wage but pay your staff less than a living wage? • Do you celebrate local artists but offer only mass-produced art in your gift shop? • Is your mission focused on childhood enrichment but you never talk to kids when planning new programs? Every organization needs a written set of values by which it makes decisions: “This is what we believe, and here are the ways we live our beliefs.” Are there re-alignments you need to make at your organization? Can your employees and customers see that your mission drives your business decision-making as much as it drives your product development? Maybe you should ask them.